Finally, these bags are complete! I am sooo happy with them! 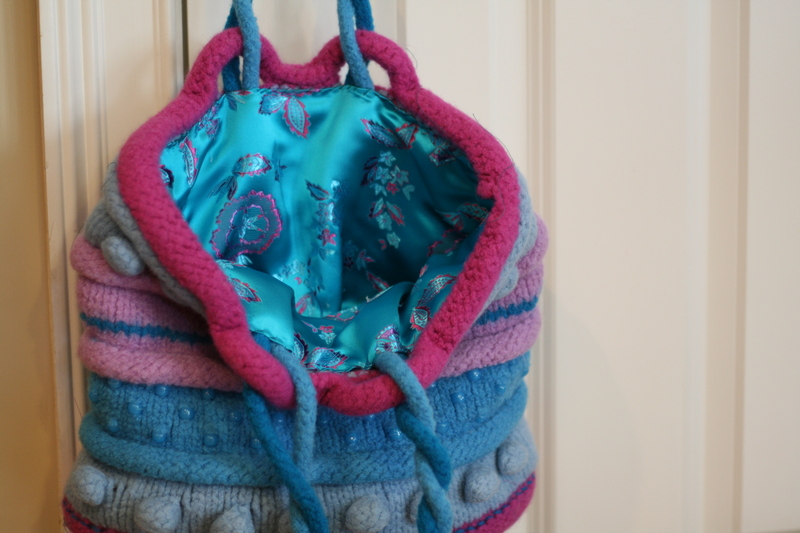 I started them both eons ago but got tired of the felted and lining steps after making almost every woman in our family a bag a few Christmases ago. Who didn’t get a bag? My daughter and me…so now, finally! 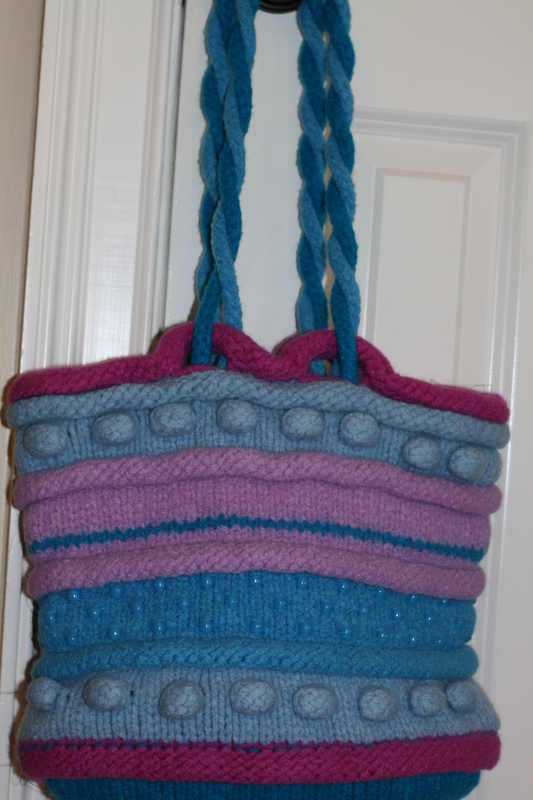 We have felted bags too! 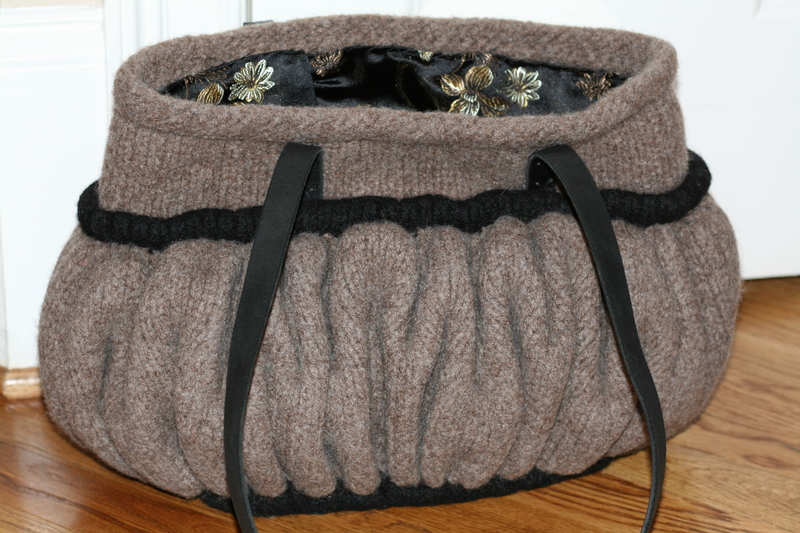 First, Julia’s B4 Bag…I made several of these and this was one of our favorite colorways. I love the aqua and pink lining. The baubles and bumps are really easy to make and using Size 13 needles and double stranded Cascade 220 yarn makes this project fly. The handles are twisted i-cords. So much fun! Then, for me, a medium sized pleated handbag. I originally found this pattern on Etsy (by Kiwi and Company) but I modified the i-cord base and top and basically used the bump instructions from the B4 bag (so easy). Again, double stranded yarn and Size 13 needles make this project so easy peasy! Instead of i-cord handles, I found these leather handles at Homestead Heirlooms. They have a great selection and are so pleasant to order from! 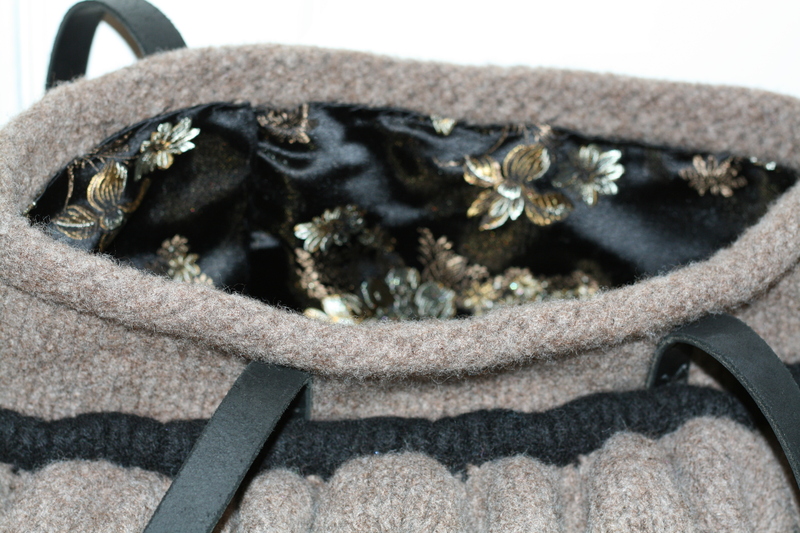 I love how the lining coordinates with the taupe yarn!